Come take a sentimental journey with Lynn! Few country artists can boast the accomplishments of Lynn Jones. 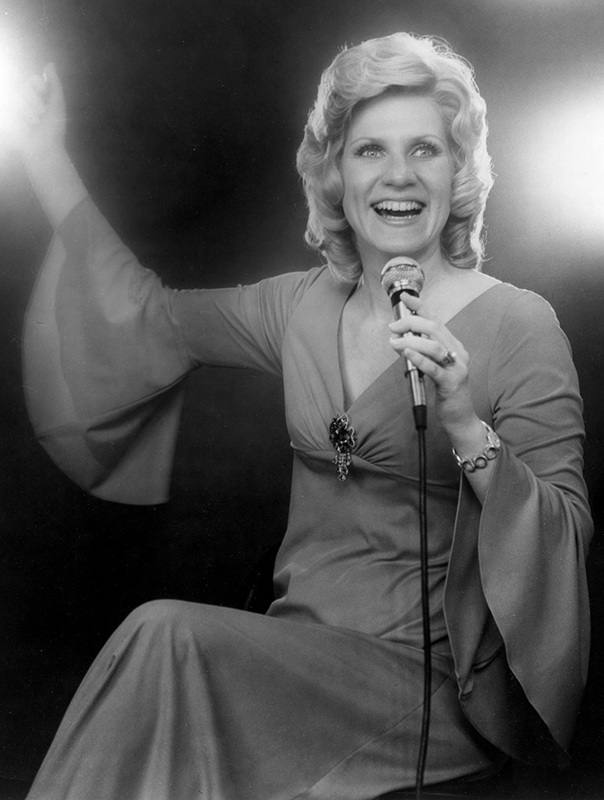 As a two time Juno nominee (1974 and 1975), she is still regarded as one of Canada’s top country female artists and for many years, she attained acceptance across Canada as a recording artist, club performer and television star. RPM Weekly, Canada’s music and record trade magazine, referred to her as Canada’s Most Promising Country Singer” in 1973 and in the years to come, she scored with three No. 1 singles in Canada and each of her record releases ultimately received national airplay. Her tours repeatedly found her in the top country showplaces of Canada and the United States. Among Lynn’s credits were appearances in Germany, Italy, Greenland and the UK. She also appeared at the famous Golden Nugget in Las Vegas. It was this latter opportunity that guaranteed her further personal appearances throughout the United States. For many years, Lynn appeared as a regular guest on the “Country Club” with Gordie Tapp (CHCH), “The Tommy Hunter Show” (CBC), Countrytime (CBC). Carl Smith (CTV), Ron McLeod/Jamboree (CHCH) and with the ever so popular “The George Hamilton IV Show” (CHCH). Coupled with these important historic network shows were her appearances on many of the major radio stations in the United States including WSM (Nashville, Tennessee) and WWVA (Wheeling, West Virginia). In 1974, The George Hamilton IV Show with Lynn Jones was released to TV audiences in England, Ireland, New Zealand, Australia, South Africa and Hong Kong. The audiences in these countries loved these fabulous shows! Lynn’s performances were always described by critics as “sincere, lively, honest, warm” and many other compliments so necessary in guaranteeing an artist the all-important audience acceptance…and accepted she was! Lynn’s engaging personality and confidence in performing made her feel incredibly comfortable on television, stage and in the recording studio! © Copyright Lynn Jones 2019. All Rights Reserved.